Microsoft's new web browser is called Edge, and it's the default browser that is installed with Windows 10. 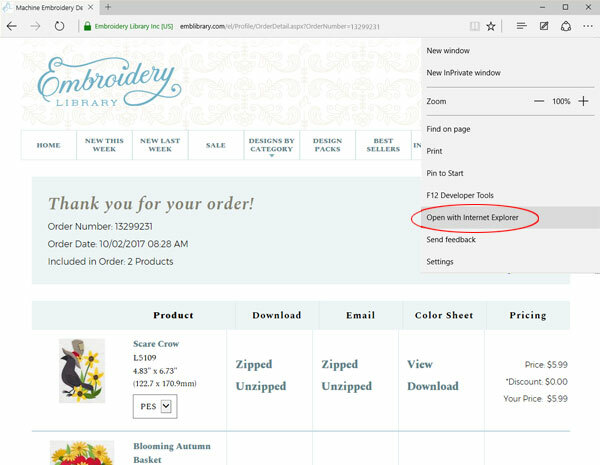 The steps for downloading files with Edge are shown below. 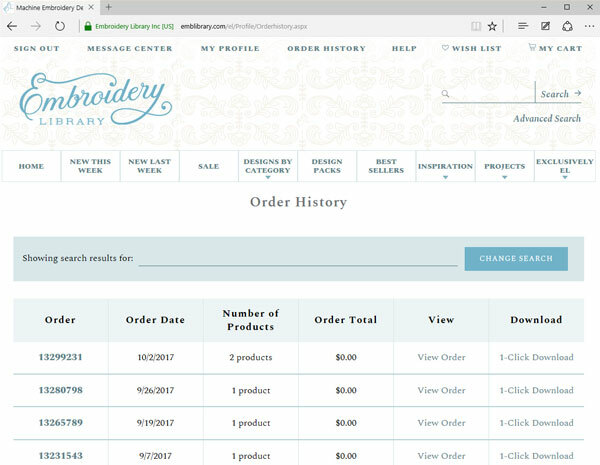 Click the Order History link, then click on a link to your order number to get to the downloading links. Look for the column labeled "Download." 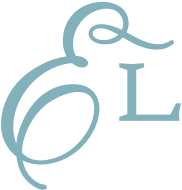 Most designs will have two links. One is labeled "unzipped", and the other is labeled "zipped". 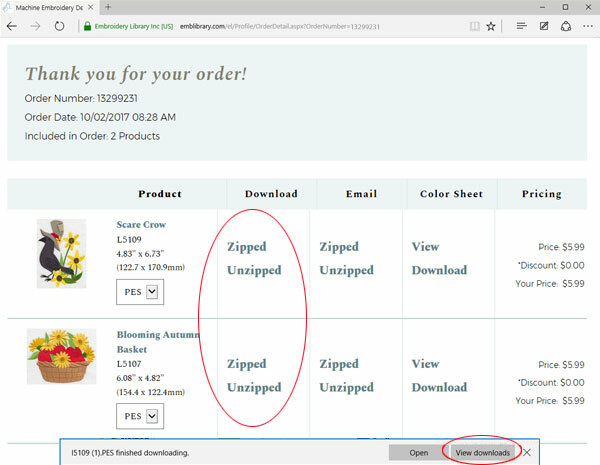 Click on either "unzipped" or "zipped," whichever you choose. 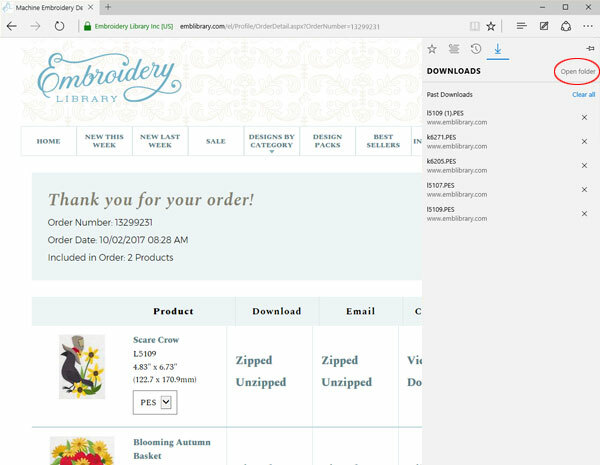 A bar will pop up at the bottom of your browser advising that the file finished downloading. Your options will be to "Open" or "View Downloads." Choose "View Downloads." After choosing "View Downloads," the list of downloaded files will appear. Choose "Open folder." Left click, hold, and drag the files out of the Downloads folder to another folder on your computer, a USB device, etc. Microsoft gave an easy option to change back to Internet Explorer, if you prefer. Click the three dots on the upper right of the Edge browser, then select "Open with Internet Explorer." That will open the page with Internet Explorer. You may need to sign in to the website again.